ODESSA – Plans for a reboot of ‘Friday Night Lights’ are now underway. Originally based on the non-fiction New York Times best-seller, “Friday Night Lights: A Town, a Team, and a Dream”, the new project is being adapted for the big screen minus the Mojo. The new film will not be a sequel to the original film starring Billy Bob Thornton, nor will it be affiliated with the five-year NBC television series that featured Kyle Chandler. The new reboot movie from Universal Pictures will feature a new story with new characters. The “reimagining” will still focus on high school football life in Texas and how it affects the community… but like the TV series, Hollywood is taking liberties to exclude Permian from which the book was written. The film will be produced by Brian Grazer for Imagine Entertainment, who also produced the 2004 release. The script is being written by Robert Schenkkan (“Hacksaw Ridge”). 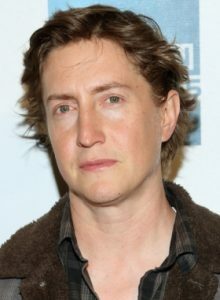 Director David Gordon Green (“Stronger”) is in final negotiations with Universal Pictures. Jon Mone and creative executive Lexi Barta are also signed on to the project. “I grew up in Texas. I was in the marching band not the football team. But me and one of my buddies who was the quarterback in his high school football team are writing it. Hopefully people will be excited about it.”, says Green. When asked about how it will be different from the original movie and TV series, Green added, “It will be a new town, a new true story, and it could be a lot of fun.” With that being said, one would think another movie title be considered. The original film, directed by Peter Berg, brought in a modest $61 million at the domestic box office. The TV series earned three Emmy Awards and was nominated for several other awards. The show was critically acclaimed, and was credited with launching the careers of several of its stars.